Hello friends! I hope you are having a wonderful day. I got up early today just for traffic court! I will have more about it in my Tuesday Truths blog post later today. Instead, I am back sharing a look inside my Midori Travelers Notebook that I am so in love with. It has worked really nice and I love how you can replace the inserts as you need or even when you want to change it. Here's the video if you want to see how I have it set up! Everyone is different and my setup might not work for you but as you can see, it is full and customized to my life. I realize that a lot of the Midori products are not cheap but I reason it out because this is a book I can keep forever. I think it's ok to spend a little more on a planner system that you can reuse for years to come. I do have a cheaper alternative that I plan on sharing with you in the coming weeks but nothing beats Midori. I am still using the passport size for my wallet which I doubt I will ever change. It works great and again..it's simply beautiful. If you haven't checked out my unboxing yet, here's that video as well. 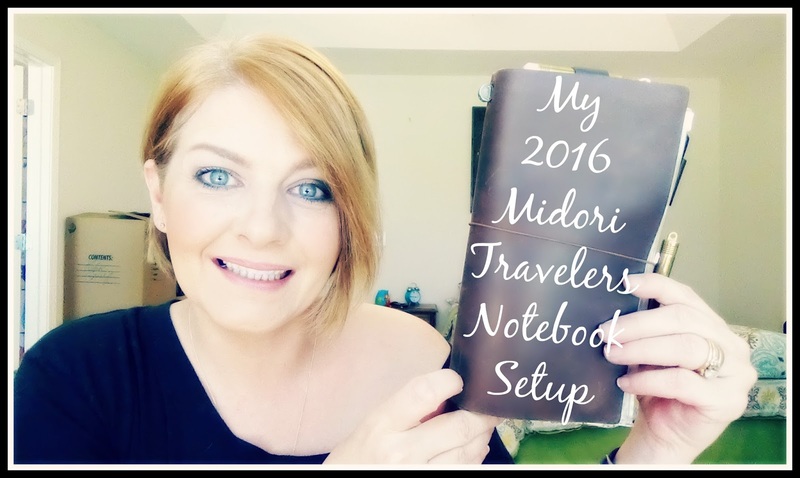 2 comments on "My 2016 Midori Travelers Notebook Setup- Video | April 2016 |"
Don't listen to the haters. You are doing great. Love your videos and blog.